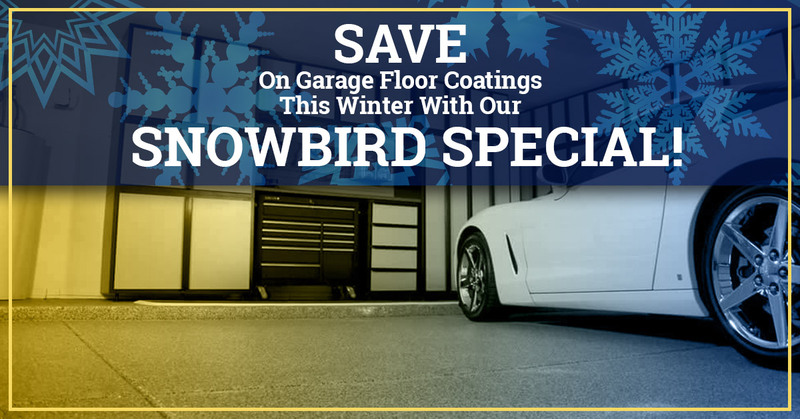 Save With Our Garage Floor Coating Snowbird Special - Garage Renovations In Southeast Wisconsin and Northern IllinoisGarage Interiors, Inc.
Save On Garage Floor Coatings This Winter With Our Snowbird Special! We are excited to announce that Garage Interiors, Inc. is launching a Snowbird Special on Better-Than-Epoxy garage floor coatings from November 15 through February 15! 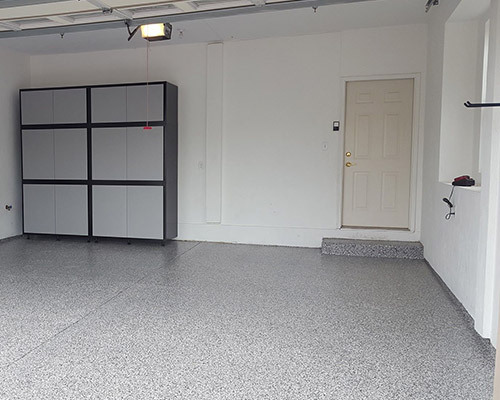 This is a great opportunity for residents in Southeast Wisconsin and Northern Illinois who need a garage renovation to save money on the best garage floor coating services available today: Slide-Lok polyaspartic garage floor coating. Here’s what you can expect from our Snowbird Special! Garages are one of the most neglected spaces on your property, and who can blame you? After all, who would want to spend a day clearing out all their camping gear, fishing poles, kids’ sports equipment, toolboxes, holiday decorations, and other odds and ends just to have their garage floor resurfaced? Well, we’ve got the solution — and the best part is that you don’t even have to be there! Anyone who lives in Brookfield, Franklin, Waukesha, or the surrounding area knows how unbearably cold it can get in this part of the country during the winter. So why don’t you take your family on a tropical vacation and come back to a completely remodeled garage? Yes, you heard that right. For a discounted rate, our experts at Garage Interiors can do the dirty work for you while you relax on a sunny beach in Florida, California, or the Bahamas! Upon entering your garage to begin renovations, our team will carefully move your belongings to a secure storage facility until the work is done, then move everything back how we found it. Our mission is to provide hassle-free garage floor coating services so our customers don’t have to do any of the work themselves, which is why we have formed strategic partnerships with the best storage facilities in each of our six service areas. Our experts have been trusted with thousands of homes throughout Southeast Wisconsin and Northern Illinois, so don’t hesitate to reach out to us for testimonials from past customers. As it turns out, many homeowners love the convenience our garage floor coating services offer, leading them to recommend us to others in the area. Many of them also opt to have custom garage storage systems built as part of their garage renovation project, which greatly increase the functionality and appearance of their garage space. At Garage Interiors, we strongly advocate for polyaspartic floor coating as a better alternative to traditional epoxy garage flooring. Not only is polyaspartic flooring four times stronger and more durable than epoxy, but it also has a much shorter cure time, only takes a day or two to install, has a slip-resistant texture, and is incredibly easy to clean and maintain. It also resists hot tire peeling and bubbling, is highly resistant to scratches, dents, stains, and UV rays, and the list goes on. Plus, it’s made right here in the USA! As garage flooring experts with years of industry experience, we stand by Slide-Lok floor coating and highly recommend it for all residential and commercial garage floors — so much so that we even offer warranties on all of our polyaspartic floor coating services. And with our Snowbird Special, it’s more affordable than ever! Ready to have your cracked, peeling, or stained garage floor resurfaced with a beautiful, long-lasting coat of polyaspartic floor coating? Request a free estimate online or contact us today to see why your neighbors chose Garage Interiors for their garage remodel! We look forward to providing Better-Than-Epoxy garage flooring to the snowbirds of Southeast Wisconsin and Northern Illinois for less this winter!